ARIJ MENA’s Research & Data Desk Project: is a trail-blazing project in the world of Arab journalism by the leading organization promoting and supporting investigative reporting in the region. The main idea and motivation behind the data desk is creation of a singular, coordination online data desk that collects as much diverse data as possible from open sources in ARIJ target countries. These are Algeria, Bahrain, Egypt, Iraq, Jordan, Kuwait, Lebanon, Libya, Morocco, Oman, Palestine, Qatar, Saudi Arabia, Sudan, Syria, Tunisia, UAE, and Yemen. Journalists need the data we collect on property, taxes, legal actions and finances to complete meaningful and evidence-based investigative reports. Reports buttressed by data can persuade people better than articles just based on anecdotes and guesses that the wrongdoings we reveal are real. It can show people how corruption and organized crimes in their countries affect them. The data desk is available for use by journalists, academic researchers, NGO advocates from Arab countries, and international partners to ARIJ. This data contains as I mentioned about mostly company, court, and land records, government contracts and tenders, government statistics, concessions and regulations from all affiliated Arab countries. I want to tell you a little about how the Data Desk started. It was funded with a Ebticar-Media Program grant that ARIJ won in 2014. It was chosen ahead of 28 other projects shortlisted from a total of 130 applicants overall. EBTICAR-Média is run by CFI in partnership with the Babelmed (Italy), Mediterranean portal, Samir Kassir Foundation (Lebanon) and the Anna Lindh Foundation (Egypt), together with technical support from Expertise France. The EBTICAR-Média project is part of the 4M Journalism and Social Media program that CFI had run for three years in the Arab world as well as in Africa, the Balkans, the Caucasus and Southeast Asia. The project offers meetings, training courses, consulting, and technical and editorial mentoring. The name of the project EBTICAR-Media, came from the Arabic word ابتكار, meaning innovation. In English, EBTICAR also serves as initials for “Electronic Booster for Technical and Innovative Contents in the Arab Region”. We have continued since this start to update and build up the Data Dek. ARIJ is looking to achieve higher benchmarks for more professional data-driven investigations with considerable impacts against corruption in Arab world and internationally through cross-border investigations. 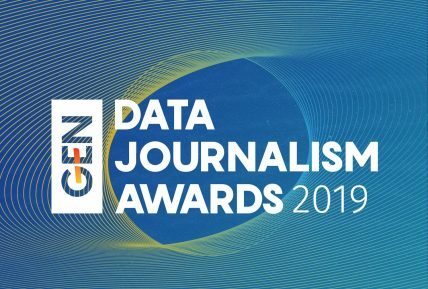 The Data Desk is valuable asset and strength of ARIJ especially in the area where reportage and IT connect. Ours is an Arabic database of endangered and rare information and it’s all in a highly usable form that is flexible and searchable. ARIJ trains – through its research and data desk team – reporters on advanced investigative journalism techniques, including how to use open source data, how to read and analyze business data, banks statements, and statistics. This training also includes, above all, how to turn all of that into stories that grab people’s attention, helps them understand, and prompts them to demand reform.